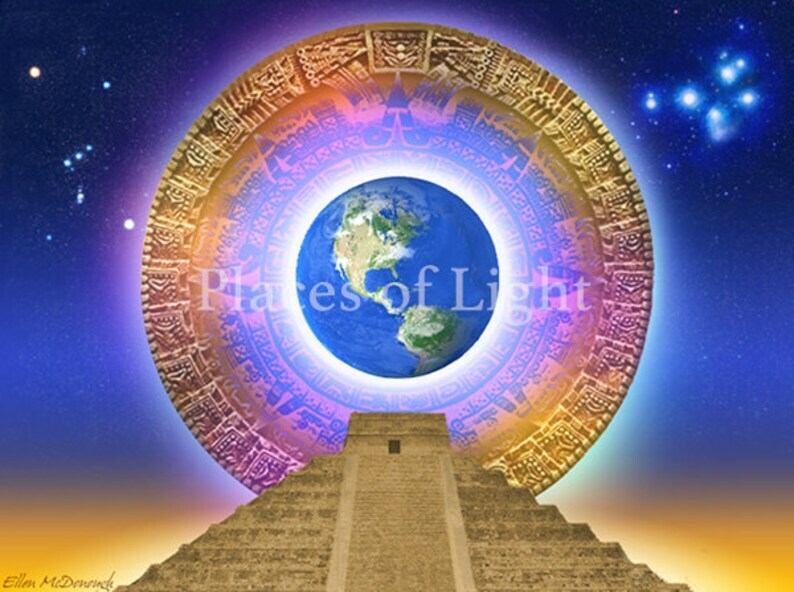 Colorful, mystical image of "Dawn of the Golden Age" which features the Earth, the Mayan calendar, a Mayan pyramid, Orion & Pleiades. Use on websites, blogs, etc. You can also print it out for use on flyers, mugs, t-shirts, etc! Digital download so you'll get it immediately upon purchase! The copyright is retained by me, Ellen McDonough. You are not allowed to alter or resell the image.